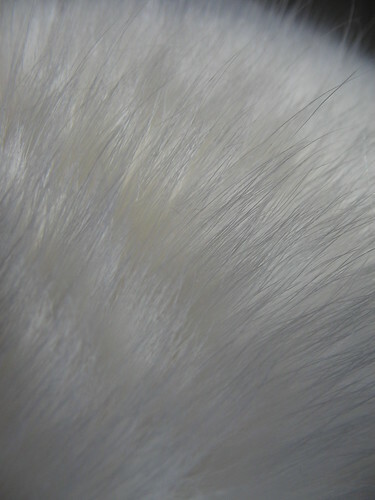 Today, a little something different: macro shots of Pandora’s lovely white coat of fur. In the thumbnails, more macro fur, and other assorted shots, including one of her curled up into a ball with her face tucked into her paw, and another of her sitting up and giving you a look. As always, more in the Pandora tag.